Throughout history, Mesopotamia has been referred to as the 'Cradle of Civilisation' and its art, treasured in museums worldwide is praised as one of the greatest achievements of mankind. 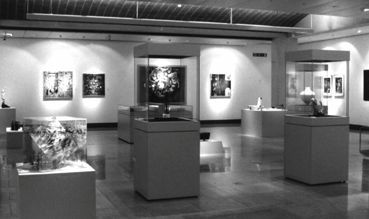 Today, Iraqi art forms an important facet of the kaleidoscope of global contemporary art to which the artists contribute with a diverse yet distinct vocabulary formed by their unique artistic, cultural and religious roots. Due to recent world events, as a result of which many Iraqis have had to seek alternative existences outside their homeland, an innovative body of artworks by Iraqi artists has emerged and taken shape. Many of these address contemporary themes informed by the complexities of the artists' lives, be it outside Iraq, in the distressed position of being an 'other', or indeed within Iraq, where day to day survival has become for many an enormous struggle and an unprecedented burden. A culmination of a colossal five-year effort, this historical undertaking intends to bring together Iraq's scattered 'talents in the wind' and communicate the positive and creative energies of Iraqi artists dispersed throughout the world today. Strokes of Genius is meant to serve as a valuable source of reference for those seeking current information about contemporary Iraqi art. 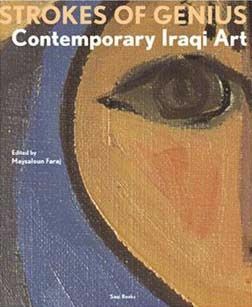 Based on extensive research and many personal interviews, this work introduces the reader to the development of Iraqi art throughout recent decades, before moving on to essays by experts in the field who explore the status and content of works produced by Iraqi artists today. Furthermore, it incorporates a comprehensive selection of biographical notes on Iraqi artists, past and present, worldwide. With 40 colour and 170 black and white illustrations. one-woman shows to date. Her artworks are in private collections world wide as well as important public collections including the British Museum; the National Museum for Women in the Arts, Washington; The Wereldmuseum, Rotterdam and national institutions throughout the Middle East. Recent group participation includes the touring exhibitions: Dialogue of the Present, UK, 1999/2000; Artists for Human Rights, South Africa, 1999; Forces of Change, USA 1994-5; Arabian Eyes, Department of Culture and Information, United Arab Emirates, 1995. Faraj has lived and worked in the UK since 1982. Curator of South Asia and the Middle East. Her most recent achievement was the staging of Scotland's first ever large-scale festival of Moslem Art and Culture: SALAAM. This involved exhibitions throughout Glasgow Museums' venues as well as events and workshops organised by the Museums and the Performing Arts Department. Ulrike al-Khamis is Senior Advisor to the Strokes of Genius project and Senior Contributor to this publication. writer and researcher who studied under the guidance of the eminent Shakir Hassan Al Said. A member of the International Artists Association (UNESCO) and the League for Iraqi Fine Arts Critics. Her work is in numerous private and public collections including the National Museum of Modern Art in Baghdad and the Institut du Monde Arabe, Paris. A founding member of Hewar, co-editor of Al-Wasiti art journal (published by the Arts Department, Ministry of Education, Baghdad) and is currently the Head of the Graphics Department at the Institute of Fine Arts in Baghdad. writer who builds on his own heritage and is very much interested in nature and the environment and has been involved in important national public commission work sponsored by the Swedish authorities. Rashid is a former student of Shakir Hassan Al Said. His work can be found in numerous private and public collections including the National Museums of Modern Art in Baghdad, Amman and Sweden. 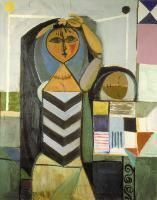 Selim a leading figure in Iraq's modern art movement and a major influence on Arab art in general. She won a scholarship at the Slade School of Fine Arts where she was awarded a Diploma in 1948. Lorna Selim became a member of the Iraqi Artists Society when it was founded in 1956 and participated in all their exhibitions as well as shows in India, Lebanon, UK, Yugoslavia and the USA. In 1966 she won the Gulbenkian Foundation gold medal for painting. Born Khartoum, Sudan, 1957 to Iraqi/German parents. Rashad is nephew to the late Jewad Selim and a junior member of the Selim Dynasty of artists. 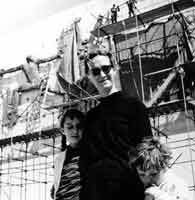 Gained a Diploma in Graphics and Printmaking, Institute of Fine Arts, Baghdad, 1980 and went on to develop his techniques achieving a further degree in audio/visual arts, St Martins School of Art, London, 1983. He is also a traveler, illustrator, designer, educator and a scholar who has contributed to numerous group exhibitions in addition to staging his one-man shows throughout Europe and the Middle East. 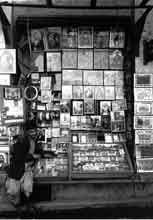 His work is in numerous private and public collections including the British Museum. Rashad is a profound member of the Strokes of Genius project. President and Founder of the Royal Society of Fine Arts, and Vice President of the Jordan Institute of Diplomacy, Dr Wijdan Ali is a prominent artist, contributor and editor of Contemporary Art from the Islamic World, 1989 and Modern Islamic Art; Development & Continuity, 1997 and contributing editor to Arts & the Islamic World, and Macmillan's Dictionary of Art. To order a copy of the book please email info@incia.co.uk.